The last thing you want to do is irk the people who could potentially impact your career. You spend about a third of your life at work. Yep, take that in for a second. When you combine different personalities with the daily pressures of tight deadlines, big projects and competition for promotions, you’re bound to run into a conflict or two (or seven!). No one wants to put up with an Andy from The Office, right? That’s why it’s important to be aware of your less-than-perfect habits that some may find annoying or distracting. Are you constantly showing up late to meetings? Do people have to tell you to quiet down? Have you ever microwaved fish in the kitchen or eaten a tuna sandwich in the lunchroom? These are no-brainers that rank highly on the no-no meter, but there are also plenty of not-so-obvious pet peeves to keep an eye out for. To help you stay on your co-workers’ good side, Monster spoke with career experts to determine the top workplace habits you should avoid. You might think you’re being inspiring or speaking like a leader, but an international study from Britain’s Institute of Leadership and Management found that 64% of respondents are annoyed by “management speak” in the workplace. That means you should nix jargon phrases like “think outside the box” or “we need all hands on deck” from your vocabulary. Pay attention to how you speak, gauge the reactions you’re getting and use simple language. It’s always good to speak up, but in the workplace—especially in an open office—it’s just as important to speak respectfully. That means not only your word choice but also your volume level. You might not realize you’re speaking too loudly, but if someone reaches a breaking point and tells you to quiet down, don’t push back, just pipe down. This is no LOL-ing matter. It’s annoying and even disrespectful to take your phone out and fire off text after text during meetings or conversations. What happens at home, stays at home, especially negative stuff, like the latest fight you had with your significant other or that you had to ground your rebellious teenager. 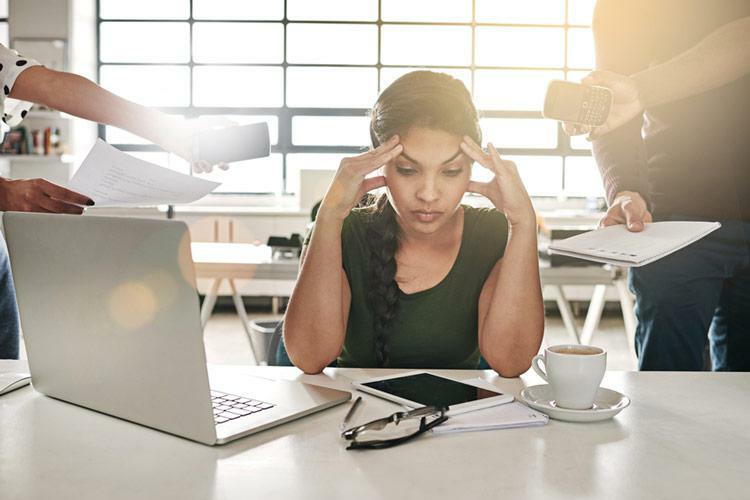 “Dragging your personal life into work is a bad habit,” says Susan Heathfield, management consultant and writer of the human resources site for About.com. “It brings down your co-workers.” Instead, keep it positive. Sharing news about your kid getting into college is OK, but leave the bigger issues at home. Constantly showing up late to work or meetings says to your co-workers that you don’t value their time. Having a messy desk or leaving communal spaces dirty and disorganized is a quick way to irk not only your co-workers but your boss too. If you can’t keep your desk space tidy, it sends the message that you’re disorganized and perhaps even a little irresponsible. As Rosalinda Oropeza Randall, an etiquette and civility expert and the author of Don't Burp in the Boardroom, told Business Insider, leaving a mess behind shows a lack of responsibility or consideration, arrogance and immaturity. Even if you aren’t generating the gossip, when you participate or stop your day to get involved in it, your credibility starts to wither. Even worse: Your colleagues will stop trusting you. Remember: How you present yourself at work—everything from how you handle stress or criticism to the jokes you tell your closest friends—will impact how your co-workers view you. If you want respect, you have to earn it.